A restaurant manager receives a call from a man speaking German who confesses to having 12 children in his basement. Two years later, a man in Feasterville, Pennsylvania is found with 12 girls in his basement. 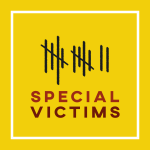 Special Victims explores whether the two cases are related and is produced and hosted by me.